Note: Elizabeth is agender and prefers the pronoun “they”. Elizabeth Welch has a degree in graphic design, is pursuing a degree in biochemical engineering and physics from the University of Michigan, loves to read and cook and has a fulfilling, well-rounded life. A few years ago, that was not the case. Elizabeth is diagnosed with Anti-Social Personality Disorder (ASPD), and Schizo-Effective Disorder. A few years ago, Elizabeth “would not leave the house for anything”. “I used to count everything; slates in the floor, ceiling tiles. I could tell you how many were in a room.” The isolation and refusal to interact with people held Elizabeth back in their career and in school. They did not have friends, and recalls having imaginary friends to fill the void. 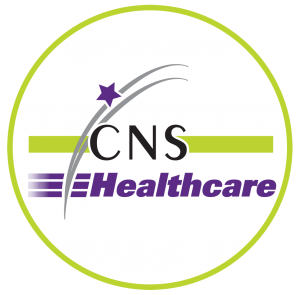 Fortunately, Elizabeth came to CNS Healthcare and began receiving case management services and new medication. Elizabeth has benefited from the case management program at CNS Healthcare , which links consumers to CNS Healthcare and community resources and events. They participate in the peer-led Free to Be Me Group, and attended the CNS Healthcare Thanksgiving celebration. Consent was given by consumers and patients to share their stories and in some instances, names have been changed to protect their privacy.